Waterloo Dental Associates keeps up with the most current dental technology to do the most effective and efficient work for our patients. Digital radiography is a form of X-ray imaging, where digital X-ray sensors are used instead of traditional photographic film. 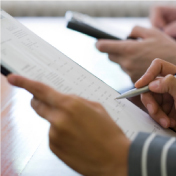 Advantages include time efficiency and the ability to digitally transfer and enhance images. Also, less radiation can be used to produce an image of similar contrast to conventional radiography. 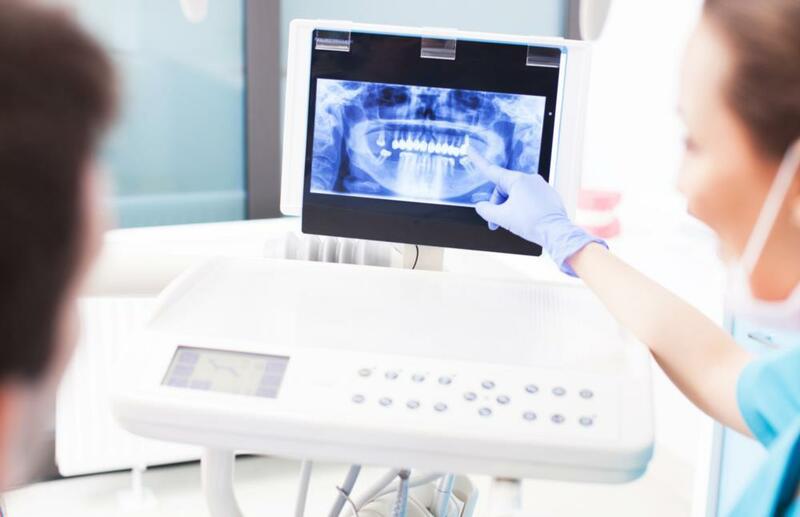 Dr. Aldrich uses digital radiography to diagnose dental decay, dental abscesses and cysts, dental development, bone loss and periodontal disease as well as bone masses such as oral cancer. 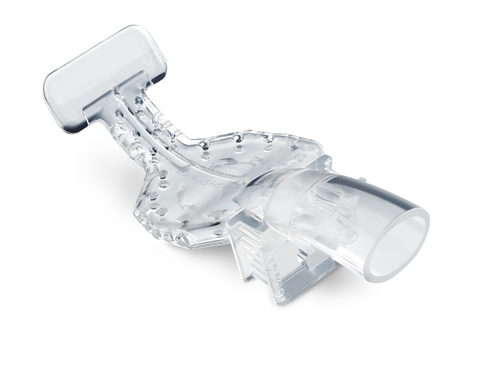 Dry Shield is a device that acts as a high-suction evacuator, bite block, tongue shield and oral pathway protector all in one. 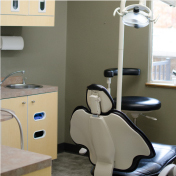 It allows Dr. Aldrich to work more efficiently which in turn gives patients less time in the dental chair. Dry shield also keeps the work environment more clean and dry which assists in productivity as well. The Picasso Lite is a laser used by Dr. Aldrich for esthetic soft tissue and periodontal procedures. 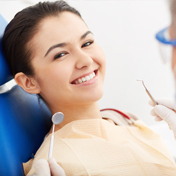 The laser is used to sculpt and shape gum tissue to enhance a patients smile. 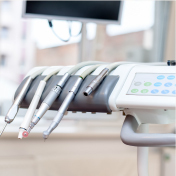 Dr. Aldrich also uses the laser to relieve high frenulum attachments, remove irritating soft tissue abnormalities and to provide more restorative space for restorations such as veneers and crowns. 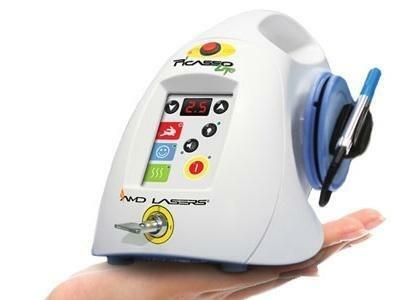 One of the best qualities of the laser is the cauterizing of nerve endings as it works leaving patients with little to no post operative discomfort. 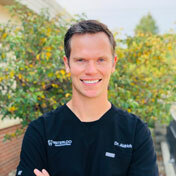 Ask Dr. Aldrich about laser treatment! 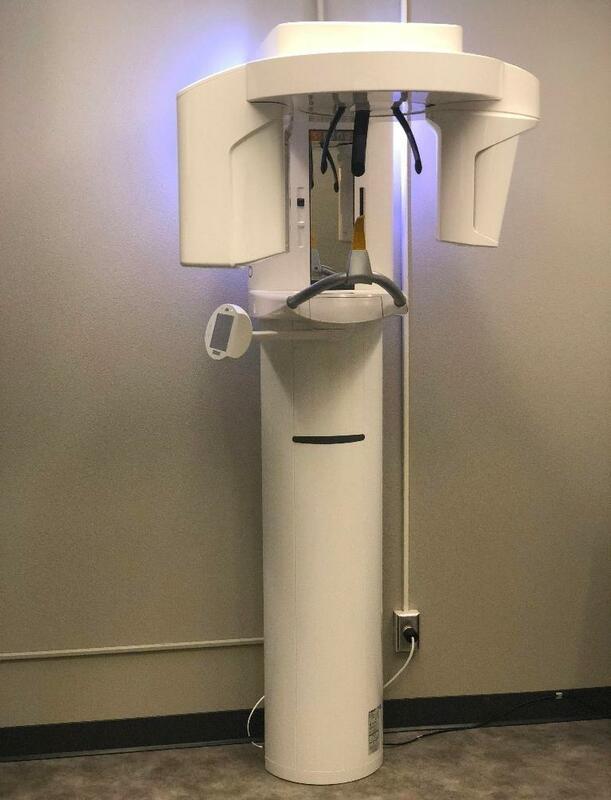 Dr. Aldrich uses Cone Beam Computed Tomography (CBCT) when regular dental or facial x-rays provide insufficient information. 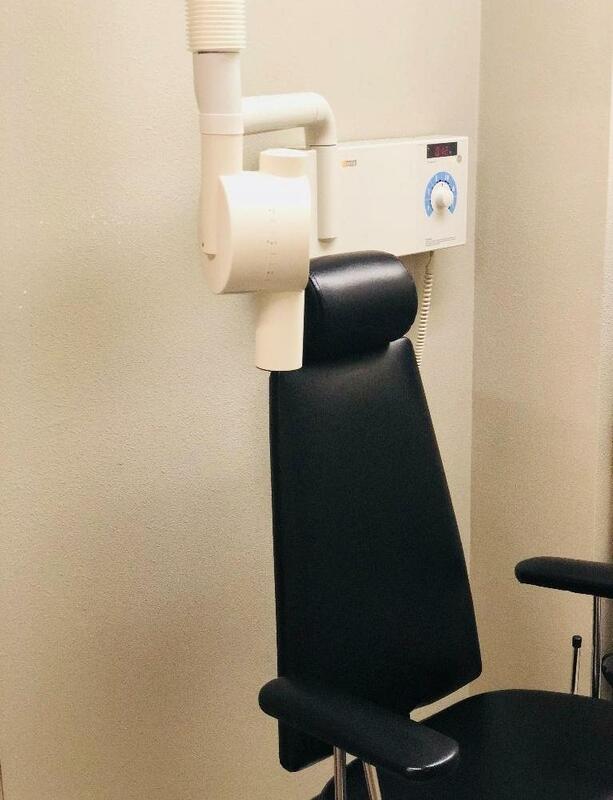 This technology can produce three-dimensional images of your teeth, soft tissues, nerve pathways, and bone in just one scan. Dr. Aldrich uses an intra oral camera which is a small device that takes footage inside your mouth and relays that imagery to a computer screen at more than 40 times the size. Patients are able to be hands on in their dental care and treatment planning and are able to truly see areas of concern and visualize proposed improvements. Have you had an issue in your mouth that you cannot see but you know is there? Call us today to take a look.